Now that the festive season is upon us, specialist property lender LendInvest has found the top ten Christmas market cities and towns that are great investment options for landlords. In addition to its latest quarterly Buy-to-Let Index, the firm has released a special Christmas market cities index, finding the ten locations that host the biggest and most popular Christmas markets across the country, and ranking them according to their positions on the latest Buy-to-Let Index. Manchester and Birmingham, incidentally home to the two largest Christmas markets in the UK, take first and second place in the table. Manchester also ranked number one overall in this quarter’s Buy-to-Let Index, after an impressive climb to the top (rising from 21 in February, to eight in June, to three in September). 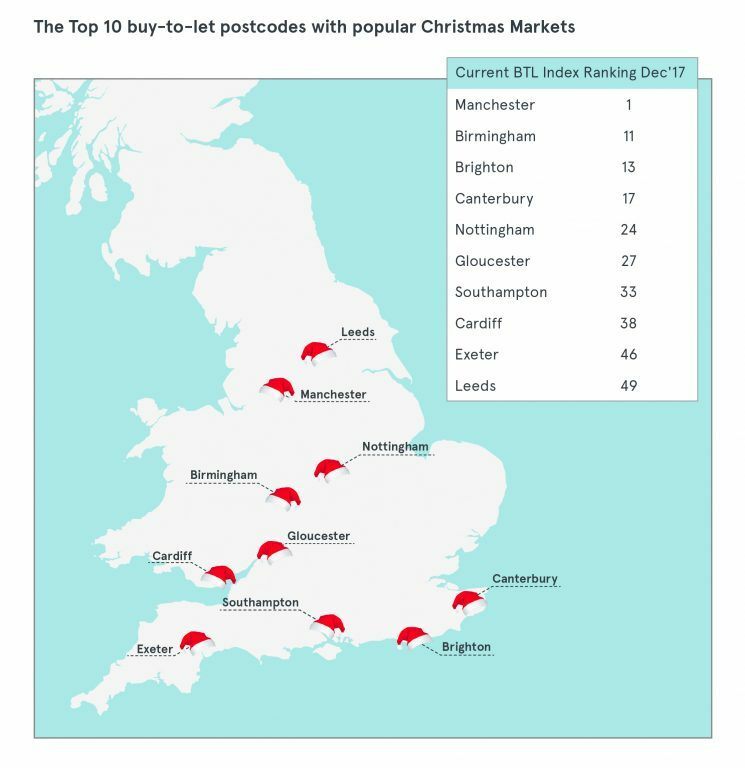 All ten Christmas market cities and towns ranked highly in the quarter overall, with locations one to ten ranking in the top 50 of the latest Buy-to-Let Index. Completing the top ten Christmas market cities for investment opportunities are: Brighton, Canterbury, Nottingham, Gloucester, Southampton, Cardiff, Exeter and Leeds. The LendInvest Buy-to-Let Index ranks all 105 postcode areas of England and Wales, based on a combination of four critical metrics: capital gains, transaction volumes, rental yields and rent price growth. Does this study inspire you to invest in one of the locations with the best Christmas markets across the UK?